Who doesn’t want to acquire more customers? I mean everyone wants more business and money! Yes We all do. It’s 2018. We got to be better than ever. 0.1 How this article will help in acquiring more customers? 1.4 So, how can you acquire more customers? 1.7.1 What does an opt-in bribe do? How this article will help in acquiring more customers? How Choosing the right Social Network can help you build more business? What are the advantages of building a community and how you can generate more business through it? Using Content Marketing Effectively to build trust, engagement and more customer base. How Contest and Giveaways can boost your sales and get you, new customers? Host Free Webinars and convert your viewers into your buyers. Create an Opt-in Bribe for Acquiring more Customers. Well, the SEO trends keep on changing, search engines algorithms continue to evolve. Press Releases were a gold mine, now it’s a past story. Directory submissions had the major impact, now no body cares much about them. So Why don’t you make your business online presence competitive and up-to-date? The customer acquisition strategies may differ from business to business — but there got to be some way — You agree or not, but customer acquisition strategies have not been the very same that used to be in the past. Like technology, our life style and the recent advancements.. everything is changing so fast and it have a great impact on our buying behavior too. Let’s not think about the darker side. I have something special, especially, if you’re a business owner or you want to start off your business very soon, because every and then, people hire social media experts and digital marketing geeks to help their companies with the online marketing. So, knowing these 6 ways to acquire more customers will help you build a stronger base of your business’ online identity and search engine reputation. The selection of the right social network (or networks) is extremely important in order to get your social media campaign in-line with your brand’s strategy. Choosing the appropriate social network means that every social media site isn’t for you and it couldn’t be. You might not be the ninja of every social platform. It’s not necessary that your audience will be everywhere. The people interested in Photography, graphics, and designing tend to join Pinterest and Instagram rather than Twitter and LinkedIn. It’s quite important to analyze the requirements of your brand as well as its audience. Think about what your brand needs to do for the audience and which platform does help your cause. If a brand thinks that its user base is likely to be the Facebook users, then it’s essential to focus on the Facebook. One of the examples of the fact that every social platform doesn’t work for every brand or business is that Instagram users tend to like photos whereas LinkedIn and Twitter audience might not be that much interested in the photos. You probably won’t see any brand focusing on the 10 social media sites and trying to build 10 different profiles. They would rather try to ENGAGE, INTERACT, and COMMUNICATE with the audience on 3 to 4 Platforms. Jennifer Shaheen might agree with me because she wrote an article on Entrepreneur.com almost 7 years ago which is worth a read. Kimber Powers also wrote an article on Vertical Response’s blog about choosing the best social networks for your business. She works at Vertical Response as a Marketing Training Specialist. When experts in the industry talk about something, it weights a lot from an authenticity standpoint. This article on Search Engine Land talked about the same cause. It seems that you’re getting a great advice at this point. Because if big blogs write the similar thing, it shows it’s worth a look. Now you got to know that every social channel is not for you and using the right one is very important. For sure, a good well build profile has a much better impression as compared to a profile which is poorly designed. Spending time in this, pays well in long term. Customers want EASY, QUICK, and RELIABLE solution. One of the reasons for e-commerce success and boom is that comfort and easiness that customers feel while shopping online. The experts agree that the adoption of an e-commerce model is easier to grasp. That being said, the community building helps business harvest their prospects in the backyard. It has been seen lately that some brands are very much focused on building the community. The Buffer is the example of that. 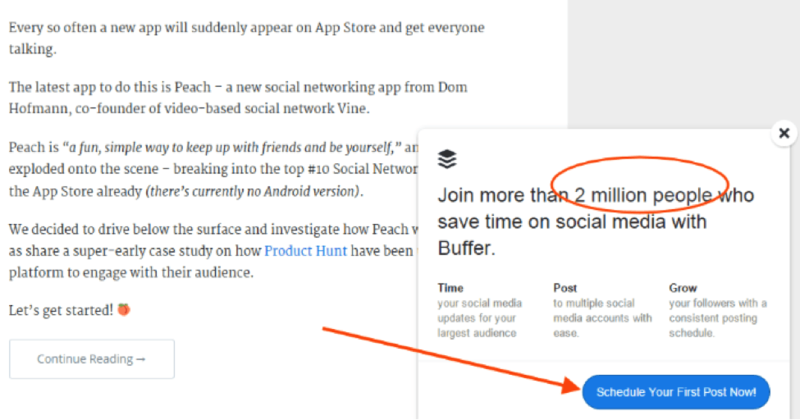 They have built a strong community of customers, prospects, social media experts, and bloggers who know Buffer, use it and read their content. In fact, the story doesn’t end here. I don’t have any doubt that their social media activity and content publishing led them to reach 2 million users. Your Brand’s Goal: Because you must not forget your brand’s mission. There is no doubt that you should help the audience and help prospect beyond the sales and marketing, but always mold your community norms and strategy to make the audience aware of your product. It will be a little challenging to bring in the relevant people, but over the course of time, you will see that happening. Conversion Funnel: The conversion funnel is a process of creating an ever-ready setup to take your community to the sales page. It could be Opt-in boxes, Popups, or anything else — It must help the audience to get closer to the purchase action. Brands use webinars to show sales pitches at the end of the webinars or to offer their products at the end. User Engagement Strategy: In engagement strategy, brands must educate the audience, so that they don’t walk away from the platform, instead, they keep themselves around the brand to find the next opportunity. For instance, a regular giveaway or offers could help in this regard.I have many case studies which i have personally experienced where the engagement helps in building relations with the company which eventually build sales for the company. Open to Criticism : Listening to your reviews, criticism helps you to improve, while many brands feel uncomfortable with this, but trust me, converting your dis-satisfied customer into your permanent one is a great achievement and that too, isn’t expensive. All you need to do is to listen to your customer feedback and present them a great solution to their problem. The takeaway from this point is that Community does matter, so build it. Make relations and convert them for bigger profits. Content marketing is a way of reaching and engaging people through different types of content such as written, audio, video, and graphics. It’s a marketing type in which content is used to marketing a brand or product. Related : See the list of good vlogging cameras. The customer acquisition comes with a number of challenges that need to be understood in order to get this done and content marketing does help the brand to bridge that gap — it’s a communication between the prospects and brands. The brands try to communicate with the customers and prospects to let them understand about the solutions and possibilities that they have for them. It’s a must-use customer acquisition strategy for brands with online existence and SAAS-based companies. Engage the Audience: When you as a brand producing the relevant content for your prospects that could help them. The chances are they somehow come across your content — It is neither a quick process nor a one-sided go. You must strive to put your content in front of maximum people and make is optimize so that they could reach it as soon as possible. Start Communication: The communication is a vital purpose of content marketing. When a brand creates content and makes it available for the prospects, it actually initiates the communication process, when the prospects come across the content, and they find it helpful, and they get engaged with the brand or the expert, it builds a relationship and there a communication begins when brands and prospects connect via email newsletter or social media. Lead Generation: Why does a brand give its energy and time on content creation if the purpose is not engaging the audience, starting a communication, or the lead generation. The lead generation is a point where a prospect either wants to try the product or looks pretty much convinced to become a paying customer. For lead generation, even writing case studies is a great way of content marketing for customer acquisitions. I have been using it as a strong medium for queries acquisition for some of our clients. Case studies exactly show’s how’s you clearly understand your client problem, what kind of challenges did you face, what kind of solution you presented to them and how you implemented it. client often imagine their self as a customer and imagine how you can help their business. John Rampton wrote an article on Forbes. He discussed the steps of using the content marketing plan for customer acquisition. What we are discussing here is the same thing. We want more customers. So, how can you acquire more customers? Content Marketing is one of the smartest ways — not only does it help you to acquire a customer, but it also helps to build your relationship with the customers. Remember, majority of the user’s don’t convert on their first visit, so thats where content marketing plays a strong role, it helps in building relation and trust with a visitor so you can successfully convert them into a visitor. Ryan Gum goes very deep with his plan on customer acquisition. In fact, he didn’t single out SEO or Content Marketing as a sole strategy to acquire customers, he blended the whole thing and portrayed a solid picture of customer acquisition, which is pretty impressive. The stance of giving from a brand standpoint and a chance of winning do the same thing for a customer is great. When a prospect thinks about grabbing a deal, the next thing prospect thinks is the benefit out of it. For instance, Black Friday, Christmas, and New Year deals help people buy the products at comparatively low prices. Same is the case with Bluehost. This is pretty much understandable that how brands acquire new customers by giving away the products or by offering the discounts, yet the profit margin goes low but they make much much more just by increasing the volume of sales. It requires a buzz: It means you have to aggressively promote the offer and convert it into a hype once you’ve created, in order to make it work, otherwise, it could be useless if goes unnoticed. It needs to be worthy: No one is here for a garbage, give them a deal they can’t refuse. Prospects will be interested only if they see something breathtaking in your offer. So, you better work on your offering in order to make it attractive and valuable. It should be well-planned: There is no doubt that you whole campaign must be well-planned. It requires you to plan about the upcoming events, occasions, public holidays. It must be predefined and ready to be executed when the time arrives. Great product, right timing, buzz and perfect execution is all what it takes to generate more customers. Webinars might be a very comfortable ground to jump in and start exploring it. Of course, every strategy does take time, but once you’re on your way, it’s all uphill from here! The webinar hosting has been an incredibly popular customer acquisition strategy. It takes a lot of effort, hustle, and energy to plan and organize a webinar but it’s worth trying. Who to target: This might help you not only to define your webinar, but also to advertise your webinar so that the right audience sign up for our webinar. In order to achieve that, you should be reaching to the right community, whether it’s facebook group, google plus community, or a segment of the email list. Purpose of the webinar: You must be very clear about WHAT TO ACHIEVE with your webinar. When it comes to customer acquisition, you may offer a heavy limited time discount at the end of your webinar or you may clearly offer some deal to the webinar attendees. Value to deliver: The core message of the webinar must be valuable enough to engage, educate, and convert the audience. If you successfully deliver a valuable message to the webinar attendees, the chances of conversion increase for sure. Give them Buy Now or You will use Deal : This urgency types work, once you deliver a successful webinar, present them a great solution and make that offer for limited hours. Like If you order right now or in the next 48 hours, you are entitled to such bonuses or something. Remember, the end part is very important and if you don’t do it right way, you may lose. 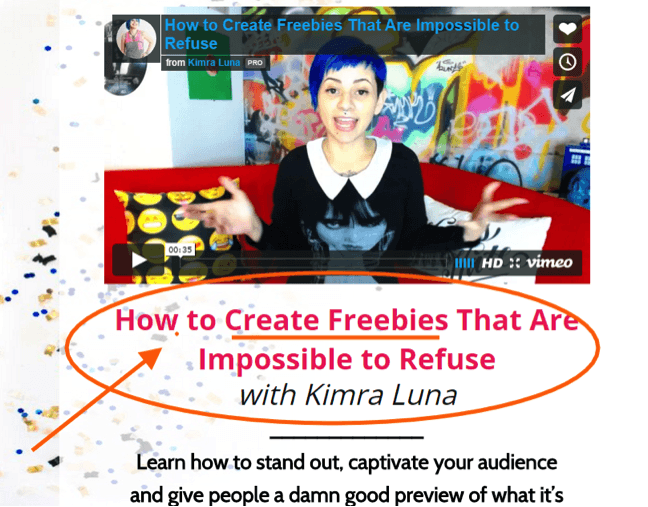 Kimra Luna knows the importance of webinars. She actually hosted one on creating freebies and making the most out of it. One of the key purposes of hosting a webinar is to filter out the target audience and get engaged with interested prospects, who may end up converting to your paying customers. Marketo is an online marketing automation software which helps businesses manage their marketing campaign and engagement strategies. They also use webinars to engage the prospects and convert them to paying customers. There are many other examples which also shows that webinar is a great way for building trust and generating more customers. An opt-in bribe is a popular customer engagement and email list building strategy that bloggers, entrepreneurs, social media experts, and digital marketing geeks use to offer something interesting to the visitors, readers, and prospects in return of their email addresses (most of the times). Because people don’t mind getting something for FREE. They think they will learn something or they don’t mind checking up what the other person has got. What does an opt-in bribe do? Engage the visitor: It certainly does engagement. Because when a visitor likes the product being offered, he would likely to check it out via signing up process. Hence, the engagement process begins, and the visitor gets what he wants. Offer a freebie: Who doesn’t like a freebie? People won’t mind downloading a healthy and useful product without paying a single penny. So, offering a freebie does work. Collect the email addresses: Once you create a useful item to offer for as an optin bribe, the next thing you see is the collection of email addresses of the interested prospects. Sue Anne Dunlevie is a popular blogger. She does the same thing. She offers her email list building guide in exchange for an email address of the interested reader. Acquiring the new customers isn’t easy at all. It’s 2018 now, the marketing trends are changing, so are the engagement strategies. Therefore, it’s the high time to think about the taking on the new challenges and grasping the new opportunities. We at AliRaza.co & Aarswebs.com provide extensive Internet Marketing, Online Advertising, and Customer Acquisition services. Our services have helped dozens of brands, which is why we thrive to doing it more effectively and aggressively. Are you struggling with getting new customers? Did your Google Adwords, Facebook Ads or Search Engine Optimization campaigns fail? I think we should talk about this now. Contact us. Thanks Buddy For Proving Us With Great Stuffs! Thank you Abdul for stopping by! Keep on visiting the blog. Thank You Mohammad For Stopping by! nice post.thank you for sharing your precious knowledge. how do you manage to write such lengthy content after a lot of research? This is such a well-researched article and I must say it is more than awesome! All it takes a passion and hope to make the visitor’s journey exciting on my website. 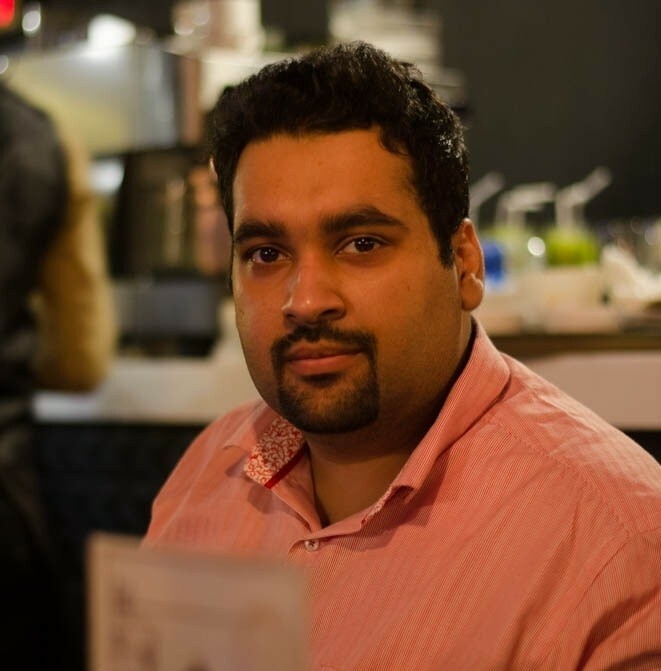 Thank you Ahsan for visiting my blog! mr ali i am always reading your posts on daily basis you always tell me great tips of promoting blogs thanks you sir. It is my pride to visit this site repeatedly to learn business and branding. Thanks Ali for the great work.